It seems that the launch of Ice Cream Sandwich Operating system coming soon and for your information Samsung has started sending the invites for an unpacked event that will held at CTIA on 11 October. Anyways, If you want to see how this latest operating system will work then for you I bring a video which is demonstrating , how Ice Cream Sandwich, Google’s next version of Android,;runs on Nexus S running. Actually this mobile phone was purchased from eBay and then loaded with a Android 4.0 or Ice Cream Sandwich Build. For yoyr information officially Nexus S is supporting Android 2.3 Gingerbread platform. Those who are familiar with Gingerbread will readily notice that Nexus S is running under latest Android 4.0 platform not that on Android 2.3 OS. 11 October is the release date of Ice Cream Sandwich operating system as not only the Samsung but also the Google has opened his lips in this regard and mention that on this date , they will talk about Android. 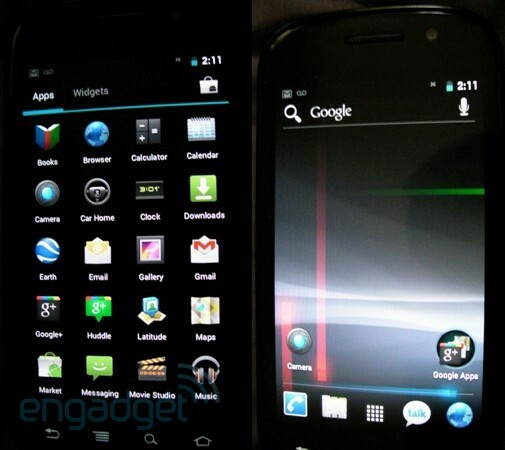 Due to courtesy of Engadget, I got the video in which Nexus S is running under Alleged Ice Cream Sandwich OS. So have a look! The video is showing some UI elements of this OS which are somewhat resembles with that Honeycomb OS such as lockscreen, dialog boxes and color scheme, icons, Recent Apps list with titles and thumbnails, the Settings screens, or the Google search bar and the voice-input button on the homescreen.